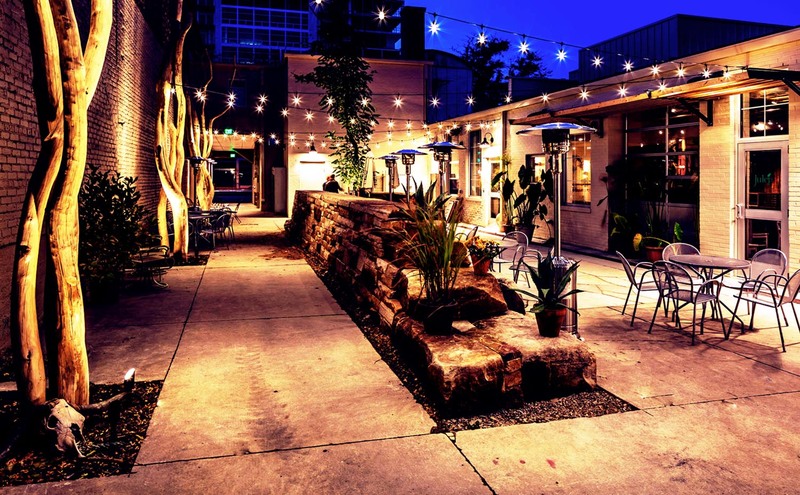 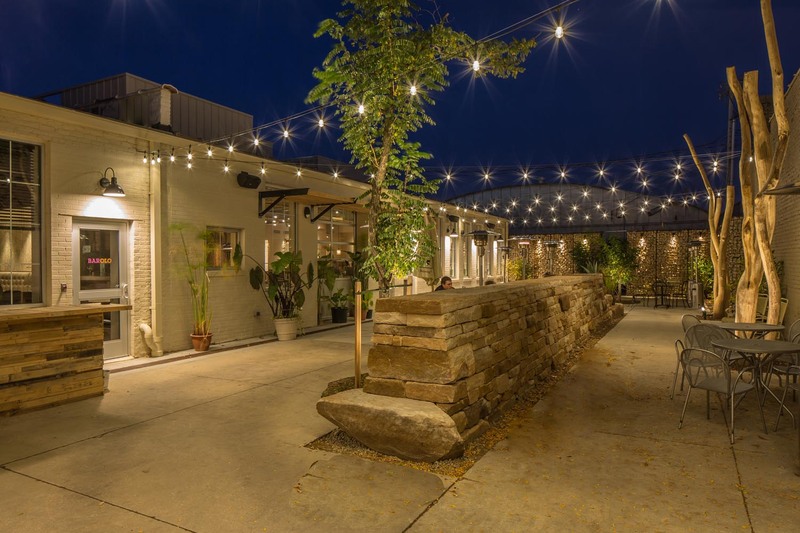 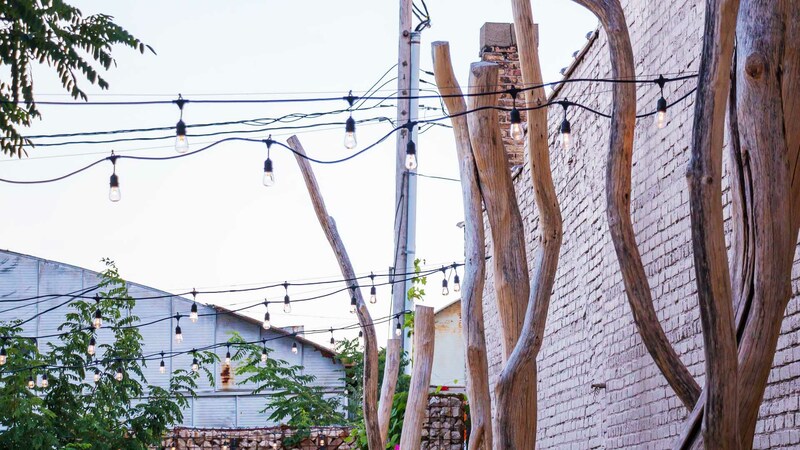 Robinia Courtyard offers several eateries in one interconnected urban space: a coffee shop, a wine bar, and a full-service restaurant. 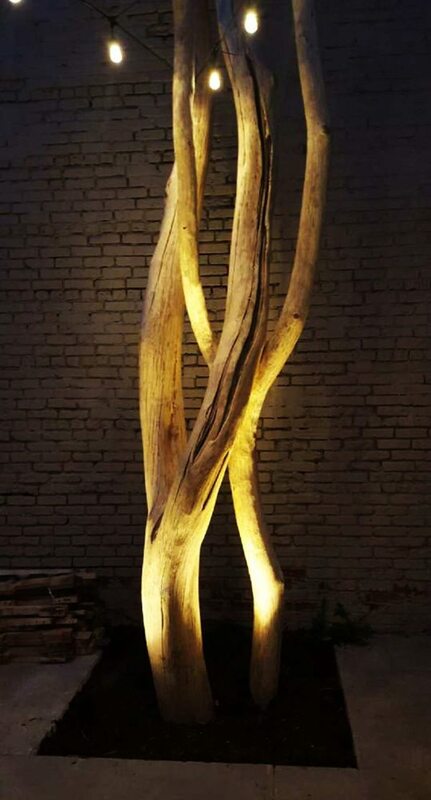 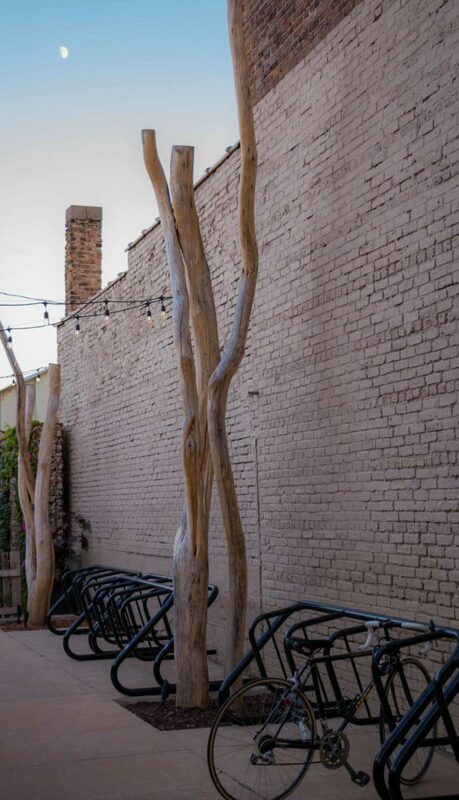 WholeTrees contributed decorative branched trees to adorn the courtyard, which provides a simple yet elegant common dining and entertainment area. 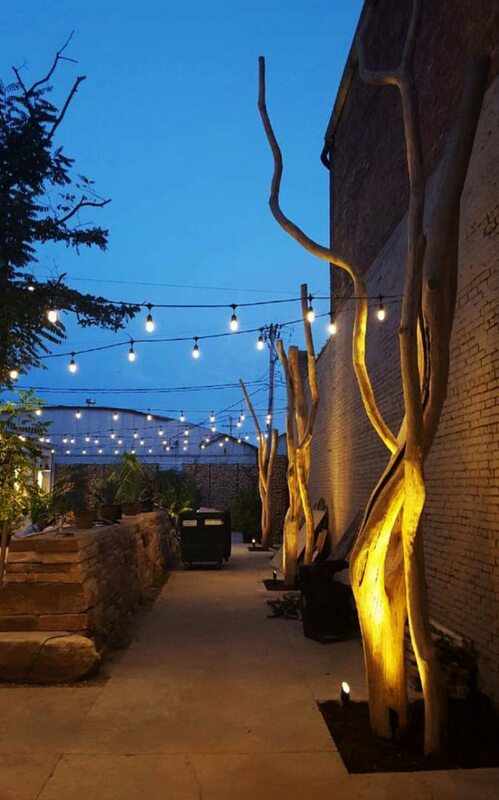 The beauty trees interact with the venue’s canopy of namesake Robinia pseudoacacia trees and native perennials planted throughout the space.